ARCP dates - Friday 06/09/13 and Tuesday 10/9/13 - with a year's notice the Deanery will not accept any trainee being on annual leave/aboard during these two days. Local training days have become less frequent than previous years and hence the attendance has been less. It has been proposed that training days occur once every month with the exception of August and December. National training days will still be included into our training program but we have requested local training days sub-specialty based (ie ACHD, Imaging, HF, Devices, EP). Dr Farrell will feed this back to Dr Kalra and a template has been drawn up. The STC members are aware that the number of intra-deanery Fellow posts is increasing and are keen to govern these in the next year. Dr Farrell is hoping to meet with Consultants from individual hospitals to set core criteria (ie level of entry) into a subspecialty fellow post. 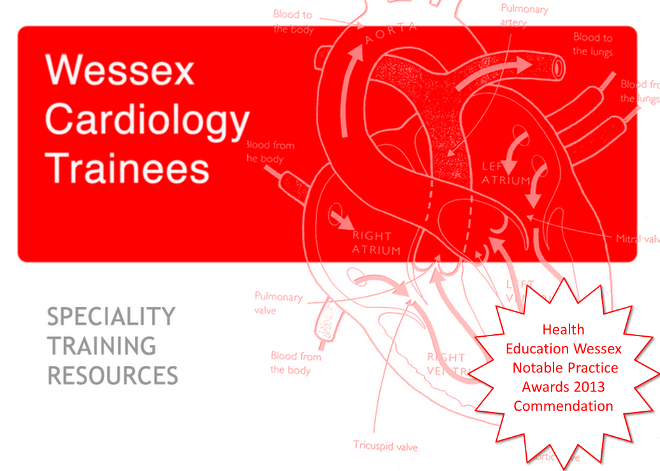 The aim of this is not undermine the general cardiology ST training in years ST3-ST5. A number of Trainees still attended their ARCP without completing the necessary parts to the e-portfolio. If you have any questions regarding your e-portfolio please ask a)your supervisor b)a fellow ST trainee c)deanery d)e-portfolio or there is a you tube video and "how to use the portfolio". Please remember to "link" your assessments and ask you supervisor to open your MSF. A number of trainees have raised the issue of the January rotation date resulting in reduced sub-specialty training for those with an August CCT date. There are no plans to alter the date to August. The main sub-specialties with concerns re: duration of sub-specialty training are those procedure based (ie PCI or devices). It has been proposed that a trainee commencing a January rotation at ST5 should in preparation for becoming ST6 in August, make plans with their educational supervisor to help start the sub-speciality training. The STC members believe procedure based sub-specialty training may still require fellowship posts. Dr John Paisey has asked Sam Fitzsimmons and James Rosengarten to take on the trainee feedback for next year. The aim is to improve the numbers who reply by removing the Consultant input. Due to conflict with the BHF conference, this meeting has been postponed until January. Further details to follow. The next Hampshire Heart Failure Group meeting is being held on Wednesday 7th November at the Winchester Hotel, Worthy Lane, Winchester, SO23 7AB. For further information on the programme and registration, please visit the YDF website. This is aimed primarily at SpRs who will have to treat patients with dyslipidaemia, but who aren't necessarily primarily lipidologists, eg cardiologists and endocrinologists. The course is free including lunch. There is no delegate fee to attend this conference. For further information on the programme and registration visit the CRY website.